The Gorilla Chair was so named because the armrests were designed to elevate the arms to shoulder height. This was actually a rather restful position. 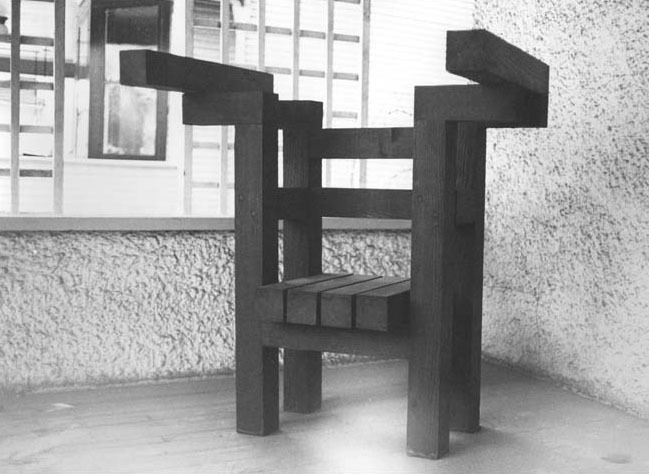 It was shortly after completing this work during Spring Break from college in 1965 that the “furniture function” was questioned and pure sculpture began to evolve. No longer was the excuse of “furniture” necessary to create lasting work. H: 5 ft. x W: 48 in. x D: 48 in.